If you've been looking for your dream sofa, rest assured you've found it. With its elegant, modern design and deep-set feather cushions, the timeless and stylish Hampton is a sofa made for sinking into. Our dining tables are designed to match your lifestyle; go from cosy dinner to a family gathering on an extending table, from solid-oak, glass to concrete tops, there will be something to suits your style. Exclusive designs by Jeannett Hojer Bessmann, our award-winning designer who specialises in the creation of high quality, affordable, aesthetically pleasing products for Lounge Lovers customers. We offer customisation on a range of sofas and sofa beds. From changing dimensions, selecting a unique fabric or swapping out the leg finish. We’re happy to get it just right for you. Choosing a fabric is often the hardest part of buying a new sofa. At Lounge Lovers, you can order an actual fabric sample, it's on us ! Click on the link below to order one or more. You will receive them within just 2-3 days. We would love to meet you! Come and visit us at one of our Sydney or Melbourne-based showrooms. Great Price, Great Customer Service! I purchased the Alexis Chaise sofa in store on Chapel Street. The purchasing process was a breeze and the customer service was awesome. I received updates via text during the week and on the day to let me know when my delivery would be made. The sofa arrived on time and was super easy to assemble. Not to mention, the price was also great. Would highly recommend! Don’t go past these stores, not your usual uninterested clueless soulless warehouses, lounge lovers are all helpful, friendly stores with great prices and really tasteful products. They also have great stock levels (hellooo Freedom!) and well priced delivery Options. super attentive, smooth and informed delivery and installation. Many bigger places can learn a lot from them. The best online purchasing experience I’ve had. The highest standard post purchase communication and care I’ve experienced. 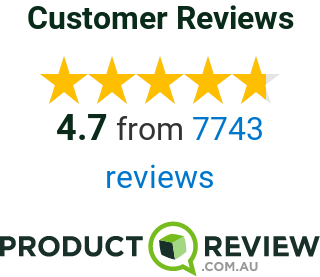 Kept me up to date on delivery time and showed genuine care to ensure I was satisfied with their product and service. I highly recommend lounge lovers for quality furniture and customer care. I wouldn’t look anywhere else.